As can be seen in above picture, the born again master appeared quite a bit younger, and healthier too than he did during the last two decades before he died. But then, it wasn’t really the Second Coming of Satyha Sai Baba, of course. It was famous bhajan singer and long time devotee Anup Jalota acting as a bad lookalike. He has been singled out to play the lead role of His late Greatness in a movie flick called Satya Sai Baba. 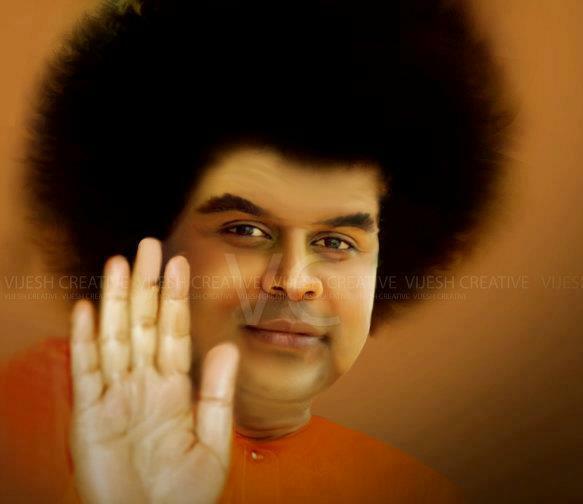 Ever since the untimely demise of guru Sathya Sai Baba in April 2011 plans were made to reenact his life story on film. Several attempts are on their way. Noted Telugu director Sri Kodi Ramakrishna has already started a movie on Sai Baba’s life last year Gurupoornima (July 3), which was officially launched in Puttaparthi after the unveiling of the tomb of the late miracle man, the so-called mahasamadhi. 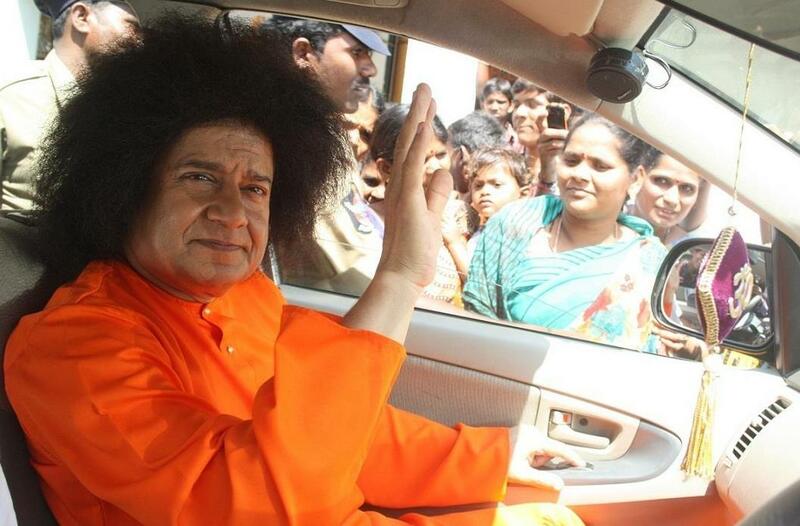 This film, titled Baba Sathya Sai, was said to be almost done but will probably take another six months. The actor playing the role of Sai Baba was officially kept undercover, but rumour got out in the end. It is none other than famous Mollywood movie star Dileep, even more of a misfit in this role if you ask me. He got famous for his mimicry and comical roles, like in the hit movie The Joker. Although every one in India seems to find him ‘perfect for the role’ I must say he does not look like the late ‘saint’ even one bit (See Dileep in and as Baba Sathya Sai). Satya Sai Baba, a second attempt at cashing in on the popularity of the late guru, directed by Vicky Ranawat, is yet to go to the sets. In spite of the involvement of Shakti Kapoor and Anup Jalota in leading roles, it promises to be a rather tawdry affair. Judged by the press release and some footage already available, it has all the characteristics of a Bollywood B-film, with a wigwearing, overweight Jalota starring as Sai Baba, surrounded by plenty of young females, music and dance. 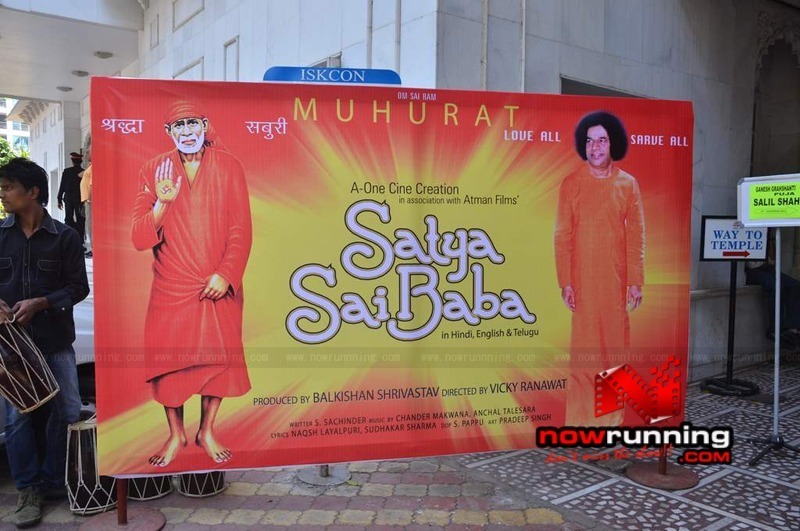 In affirmation of the rather dubious claim made by the late Sathya Sai Baba that he was the reincarnation of Shirdi Sai Baba, a much-loved 19th century muslim saint, they feature alongside each other on the poster of this flick during its presentation in Mumbai, 16 February 2012. In all honesty, I find it rather disconcerting, though, to notice that two commercial feature length films are in the making, promising a lot of ‘song and dance’ and entertainment, whereas any honest, balanced and critical examination of the main character, arguably the most influential of all the godmen India has produced in the last century, both religiously and politically as well as moneywise, has been sorely missing up til now both in India itself and abroad. Apparently, the need to make light of the whole cultish phenomenon and please a gullible Indian audience is bigger than the urge to seek a deeper meaning and understanding of this enigmatic yet deeply flawed individual. Where are the documentaries? Who is doing the investigative journalism? It truly seems to be a measure of our brave new world that all there is in store is more pretense.